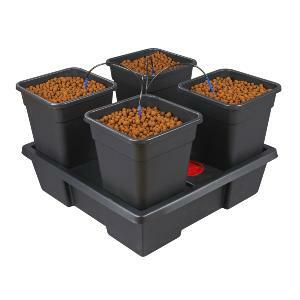 The Wilma XL 4-pot System is an extremely versatile hydroponic system that can be used with many different growing medium. The main Wilma kits available offer pot based dripper systems with sizes ranging from 4 pots to 20 pots. They are, especially suitable for growing in clay pebbles, rockwool grow cubes or organic growing media such as soil or coir.